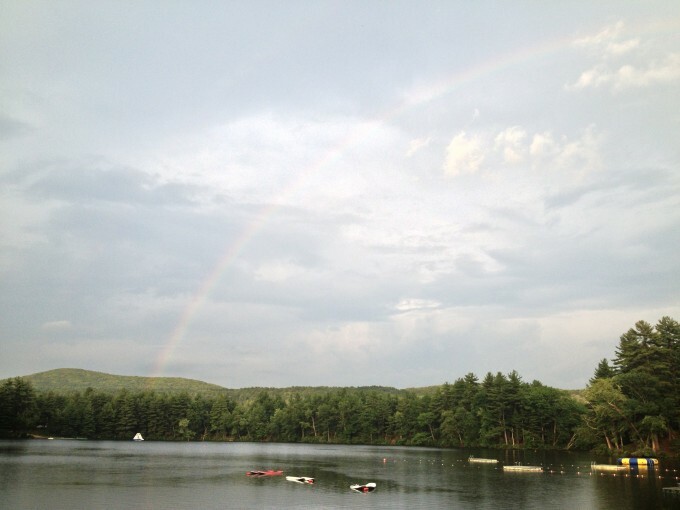 Here are two beautiful photos of the rainbow we saw over the agam (lake) after aruchat erev (dinner) tonight! 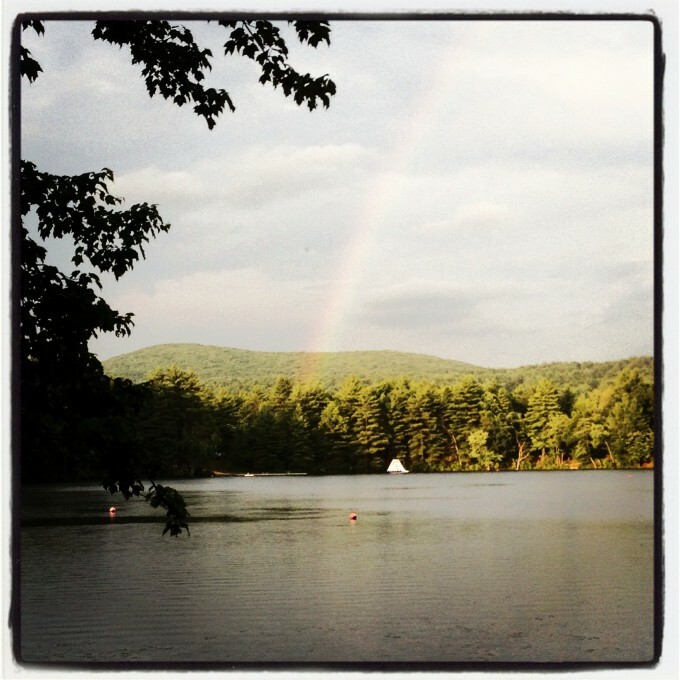 A great ending to a great first day of kayitz 2013! !